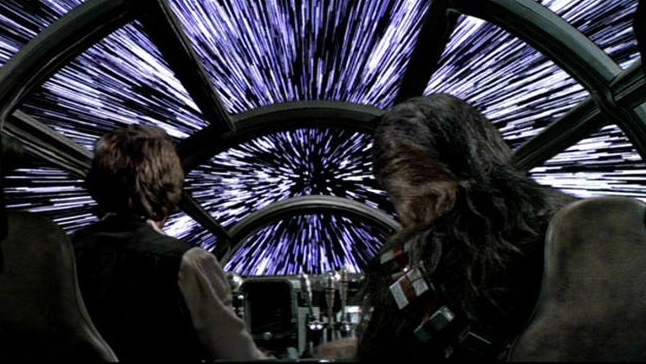 The speed of light in vacuum, commonly denoted by c, is independent of the relative speed of the observer and the source of the radiation and therefore assumes the role of universal constant of physics, such as the gravitational constant G, the electron charge, its mass etc. According to current knowledge c it is the maximum speed at which can travel not only light but also any kind of electromagnetic wave and then in general each type of signal capable of transporting energy and therefore information. In the everyday life we use radio frequency signals that propagate through a particular type of cable, known as coaxial cable. Just think about the signal captured by an antenna and sent to a TV or the cables that connect to each other more personal computers on the network and internet. If we think about the everyday normal distances, the signals seem to propagate instantaneously; for this reason, though admitting the existence of a finite limit value, the ways to measure c are not at all trivial, having to estimate the speed of a signal that runs thousands of kilometers per second. 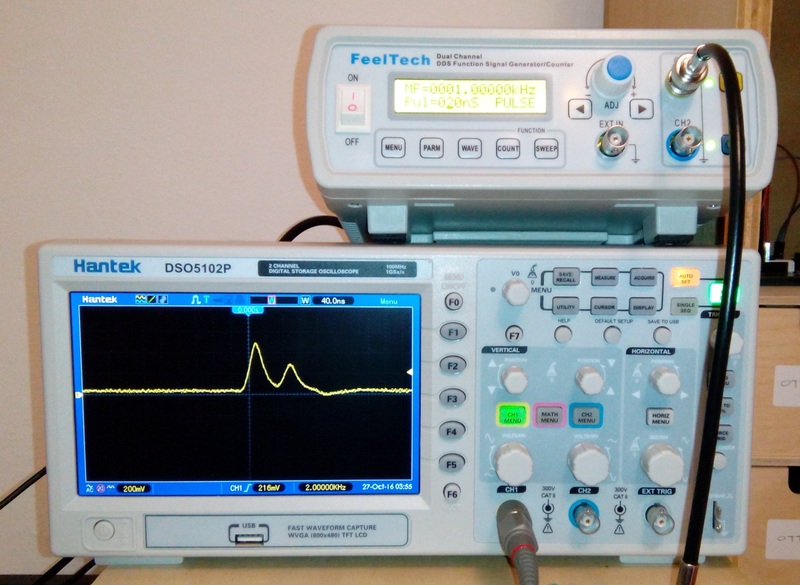 In the proposed experiment a radio frequency signal will be sent in a coaxial cable having a length of about 10 meters to show that a measure of its speed is feasible even over short distances by means of an oscilloscope that is a device able to display rapid signals. A coaxial cable is formed by a pair of cylindrical metallic conductors, isolated and arranged such that one lies within the other. The inner conductor is a solid wire while the outer one is formed from a wire braid. The two conductors are maintained spaced by insulating material. 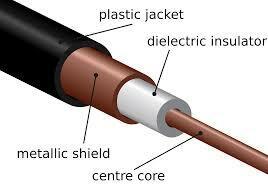 The outer conductor is covered by a sheath of protective material. Consider a generator that supplies a variable voltage signal and has an internal impedance Zs connected, through a coaxial cable of characteristic impedance Zo, to a load ZL. The propagation of the signal along the cable takes place as a variation of the electric and magnetic fields that are concatenated. In the cable, therefore, an electromagnetic wave travels along the cable and it reaches, after a certain time, the end of the line. If ZL is equal to Z0 (characteristic impedance of the cable) then the wave is completely absorbed by the load, if Z0 is different than ZL then the load generates a reflected wave that passes again through the cable. In particular if ZL > Z0 (for example, an open circuit) the load generates a reflected wave of the same polarity, if instead ZL < Z0 (for example a short circuit) then it generates a reflected wave of reversed polarity. To make the experiment a function generator has been used, configured to generate 20ns pulses with frequency of 1kHz. The pulses were acquired via a digital oscilloscope with a bandwidth of 100MHz. 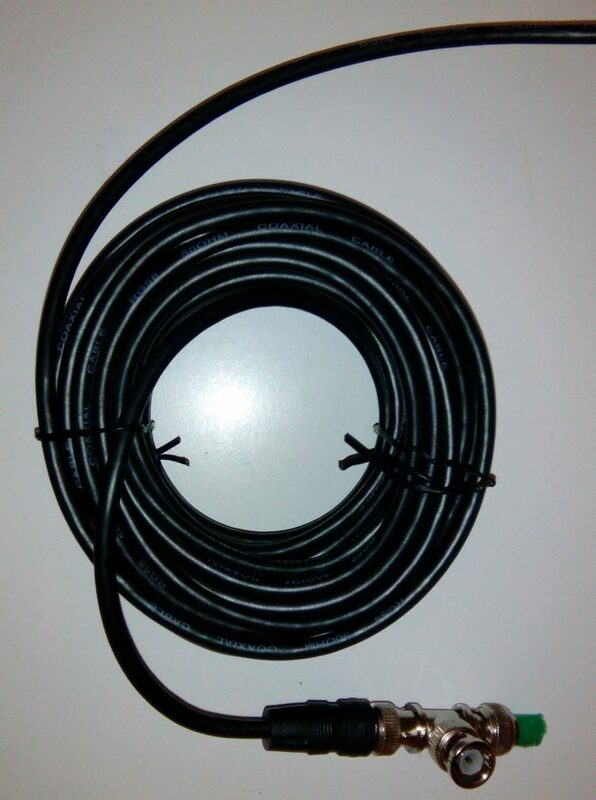 A 10m long coaxial cable RG-58 with a characteristic impedance of 50Ω has been used as transmission line. The images below show the setup. Some measures have been made, by varying the load impedance value and acquiring the direct wave and reflected wave signals. The results are illustrated in the graphs below. You can see how the reflected wave is absent in the case of adapted impedance (ZL = 50 ohm), whilst for greater and less impedance is present a reflected wave, positive polarity in the first case and negative in the second. A load impedance not adapted to the impedance of the coaxial cable causes the deformation of the pulse. This is because the original impulse is added to or subtracts the reflected pulse, this effect is more pronounced the greater is the non-adaptation of the impedances. The results are shown in the graphs below. You can see how the impulse is not deformed in the case of adapted impedance (ZL = 50 ohm), while for higher impedance and lower the pulse is greatly deformed due to reflected wave.